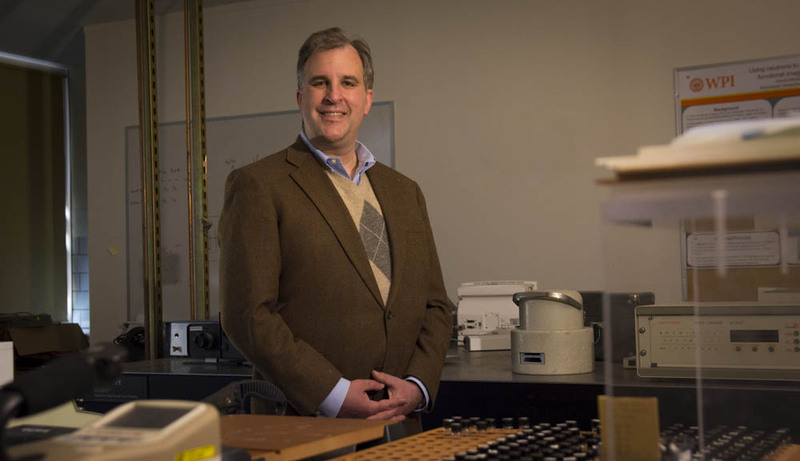 Physics professor David Medich applies his research to healthcare and medicine and wants people to know scientists are regular people who are driven to make the world a better place. In his lab, David Medich studies the tissues in the human body to understand disease and how to improve outcomes based on his discoveries. I chose to be a physicist because I love delving into the fundamental ways that our world works. In college, I found physics to be a very rewarding and exciting field and loved how its discoveries occur at the frontiers of human knowledge. How could I say no to that? The biggest misperceptions people have about scientists are that we always wear lab coats, have wild hair, and are eccentric; this couldn’t be further from the truth. Scientists are ordinary people who have dedicated their lives to learning about (and doing) science. Hurm… Other than getting requests to be interviewed about being an #actuallivingscientist? I’d say that I’m reminded about being a scientist each time I see a new research article of mine published in a scientific journal. That never gets old. ...still take out the garbage. Generally speaking, my research deals with applying physics concepts, theories, and methods to medicine or healthcare. More specifically, my primary research focus is to develop a new technique to better and more clearly identify how tissues in our bodies are functioning – this is important because it could be used to better identify the causes of certain types of diseases, such as cancer. This is without a doubt the most important responsibility of a scientist: to educate and prepare students to become the next generation of scientists. To that end, WPI’s focus on project-based learning really helps me give my students both the academic and laboratory skills needed to become successful scientists.